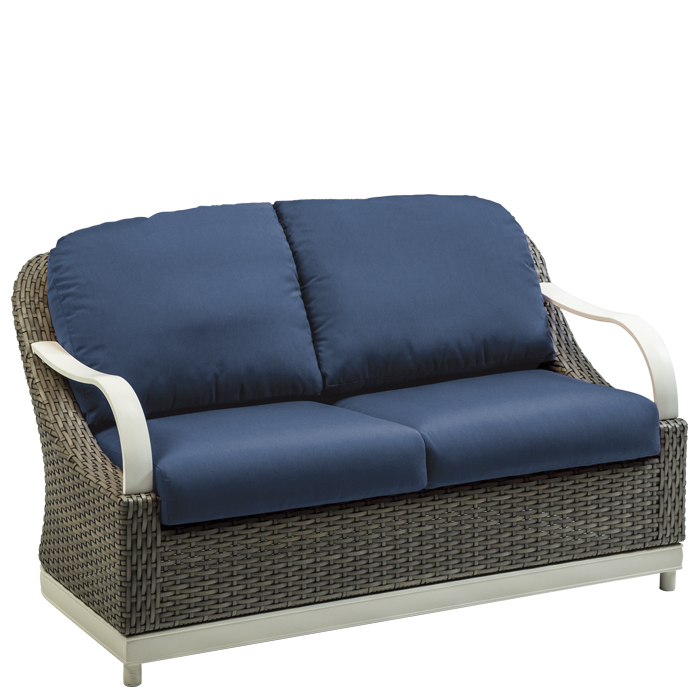 Elegant style and relaxed comfort set this classic outdoor patio furniture apart. Inspired by the graceful curves of the beach, Tropitone's Shoreline Love Seat boasts graceful arms, a well-crafted woven back and seat, and comfortable cushions. The gently curved seat and back evoke a contoured appearance. This outdoor seating collection will drift you away to the sea.